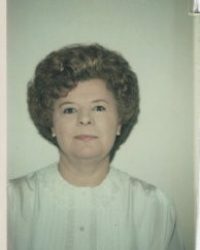 Helene M. (Nowak) Noga, 84, of Chicopee, entered into eternal peace on Sunday, April 7, 2019. She was the loving wife of Casimir Noga, who passed in 2013. 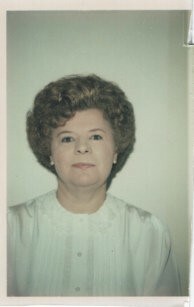 Helen was born on June 9, 1934 in Chicopee and was the daughter of the late William and Mary (Sawa) Nowak. She was a life long resident of Chicopee and graduated from Chicopee High School. She retired from Century Investment Company after many years of dedicated service. She loved polka music and dancing. A fond memory of hers, was the European Tour taken with her husband. Her family looked forward to her delicious cream pies she baked during the holidays. She is survived by her daughter and son-in-law, Kathleen and Paul Bohonowicz of Somers, CT and a daughter, Christine Petit and three grandchildren, Matthew Bohonowicz and his wife, Janelle, Jeffrey Bohonowicz and his wife, Tina and Adam Petit and his wife, Eileen. Helene cherished her five great grandchildren, Ryan, Sean, Noah, Evelyn and Julienne. Family and friends can visit at the Cierpial Memorial Funeral Home on 61 Grape St. in Chicopee on Wednesday, April 10, 2019 from 8:30 to 9:30 am. A Liturgy of Christian Burial will follow at the Basilica of St. Stanislaus Bishop and Martyr at 10 am. Her burial will be in St. Stanislaus Cemetery. Memorial contributions may be made to St. Stanislaus Ministry of Care, 40 Cyman Dr., Chicopee, MA 01013.